After the extremely popular post on my interaction with Lefty Kreh, him calling tenkara a fad even as TFO wanted to make their own tenkara rods, and then a recap of the post by Kirk Deeter at Field and Stream’s Fly Talk blog, I thought I’d lighten up the mood a bit by posting a great shot of forum user Dan Gates taken by his friend Darin Marx. I love photography, but am not much of a consumer of photos, normally preferring photos I take myself. But, the lighting, composition and background in this photograph are spot-on! It was one of those photographs that caught my eye in a split second and kept my gaze for quite sometime. PS. If you’re coming to the Somerset Fly Fishing Show, be sure to come by our booth, right by the main pond! 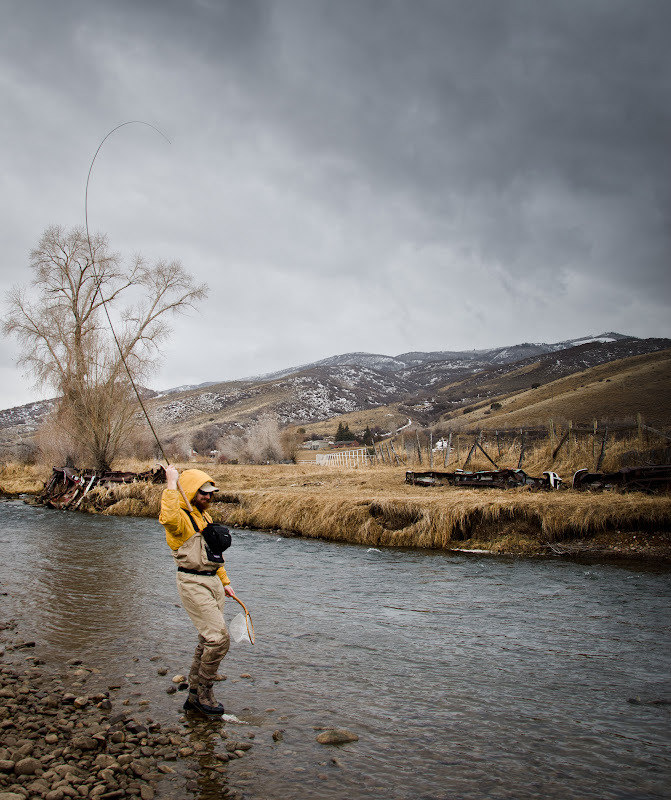 And, please checkout the tenkara casting demos on Saturday and Sunday at 12PM. And, come watch my presentations on Friday at 11AM, Saturday at 10AM and Sunday at 2PM. Stunning image. This is the kind of image that piques non-anglers’ interest and cements an angler’s passion.